Tom Speedie, Attorney at Law, P.C. I am attorney Tom Speedie. I bring more than 15 years of experience to criminal defense, DUI, traffic violations, and driver’s license reinstatement cases. My reputation in the legal community is well-known. 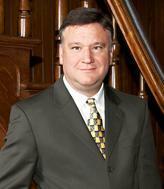 I have held leadership positions in the Washington County Bar Association and the Illinois State Bar Association. I will handle your case personally. You will find that I am approachable, ready to listen and prepared to answer any questions. My goal is to minimize the impact of a criminal charge on your life. I will create a legal strategy to help you avoid fines, avoid incarceration, and keep or restore your driving privileges. You will have trusted legal representation from start to finish. I take pride in offering experienced and effective representation at competitive fees. Driver's license reinstatement and select other matters are handled on a flat fee basis. I offer flexible payment plans and accept all major credit cards.